– see Annex: Decision tree. 4. When is a medicinal product defined as a tool in a trial? The medicinal product (the tool) is not the subject of the trial and is used as a tool to induce a well-known physiological response. The therapeutic, diagnostic or preventive effect or safety of the medicinal product (the tool) is NOT being verified or tested. NO data is gathered concerning the medicinal product’s pharmacological effects, including pharmacodynamics and/or pharmacokinetics. 5. Must I report tool trials to the Danish Medicines Agency? No, this type of trial is not subject to a notification duty. 6. Can I get the Danish Medicines Agency's assessment of whether a specific trial is to be approved? If you are still not sure if the clinical trial in question should be notified to the Danish Medicines Agency, you can send us an enquiry about the obligation to apply. Such an enquiry must include the trial protocol and data about the product you wish to study. If the protocol is not yet completed, we can assess it based on a synopsis describing purpose, effect aims and a description of how these are to be achieved. Please send your enquiry to kf@dkma.dk. If you are unsure whether the substance to be trialled is characterised as a medicine or not, please consult this page: How to distinguish between medicines and other products. 1. What is a PASS study? a study relating to an authorised medicinal product conducted with the aim of identifying, characterising or quantifying a safety hazard or confirming the safety profile of the medicinal product. It can also be conducted with the aim of measuring the effectiveness of risk management measures. a study in which the medicinal product is used in compliance with the conditions of the marketing authorisation. A PASS study may be an clinical trial (interventional) or a non-interventional study. A PASS study may be initiated by the marketing authorisation holder voluntarily, or pursuant to a condition in the marketing authorisation, and it may be conducted in one or more European countries. For further information about PASS studies, please see this European Guideline on good pharmacovigilance practices (GVP). 2. Must PASS studies be registered in the EU? Yes, PASS studies must be registered in the electronic register for post-authorisation studies known as the EU PAS Register. The study protocol must be submitted to the register before the start of data collection. The Danish Medicines Agency is not to be informed of PASS studies before they have been registered in the EU PAS Register. 3. When are PASS studies to be authorised by the Danish Medicines Agency? This depends on whether the PASS study is initiated voluntarily by the marketing authorisation holder or pursuant to a condition in the marketing authorisation granted by the Danish Medicines Agency or a condition in a European marketing authorisation. Non-interventional PASS studies which are initiated due to a condition in the marketing authorisation granted by the Danish Medicines Agency must be authorised by the Danish Medicines Agency if the study is only to take place in Denmark. Non-interventional PASS studies which are initiated voluntarily by the marketing authorisation holder must not be approved by the Danish Medicines Agency. Interventional PASS studies must be approved by the Danish Medicines Agency. 4. When must I notify the Danish Medicines Agency about non-interventional PASS studies? non-interventional PASS studies are initiated based on a condition in a marketing authorisation granted by the Danish Medicines Agency. non-interventional PASS studies are initiated based on a condition in a European marketing authorisation if the study takes place in Denmark. Documentation must be submitted after PRAC (Pharmacovigilance Risk Assessment Committee) has authorised the trial. non-interventional PASS studies are initiated voluntarily by the marketing authorisation holder, if Denmark acts as reference member state or rapporteur for the medicinal product. 5. What documentation must I submit to the Danish Medicines Agency for non-interventional PASS studies? the finial clinical study report no later than 12 months after the trial has ended. Clinical trial applications can be submitted to the Danish Medicines Agency via DKMAnet, on CD-ROM or via Eudralink. Companies, including CROs (Contract Research Organisations) engaged in clinical trials of medicines in humans can apply for authorisation of clinical trials and submit notifications about ongoing trials to DKMAnet, our access-controlled extranet: Read more about Applying for clinical trial authorisations via DKMAnet. Applicants who do not have access to the DKMAnet can submit their documentation digitally on a CD-ROM or via Eudralink. Eudralink is the European Medicines Agency's (EMA's) system for secure file transfer. 2. How do I provide my invoice details? Invoice details must be stated in the cover letter (EAN no. for public institutions). Please also see the checklist for applications: Checklist for application for authorisation of a clinical trial – Appendix 10 – click on Appendix 10. 3. When must I submit notifications/inform the Danish Medicines Agency? The above changes are not to be approved by the Danish Medicines Agency. Only substantial amendments must be submitted to the Danish Medicines Agency. 4. The power of attorney for representatives from foreign authorities who are to monitor the trial, what must it give access to and for how long? By signing a power of attorney, trial subjects grant access to their entire patient record for a specific number of years. If data from the trial is expected to be used for authorisation of a medicinal product, the number of years in which access is granted to the patient's record must take into account the time expected to pass until authorisation. It must be clearly evident from a headline or a subheading that it is a power of attorney. The wording "I hereby authorise..." must be used. Phrases such as "I give my consent to..." or "I am informed that..." are thus not accepted. The power of attorney must apply to the entire patient record. Access to the patient record must thus not be limited to parts or relevant sections of the record. The purpose of the power of attorney must appear (inspection/monitoring). It must appear that access to the patient record applies during and after the trial in a period of up to at least 5 years after the end of the trial. Both a period and a number of years must be specified. We recommend that no reference is made to any legislation since the power of attorney is based on contract law. Authorisation to transfer data to third countries is not to be placed in the the power of attorney as it belongs under the Danish Data Protection Agency's legislation. The information on such transfer of data can instead be inserted in the information for trial subjects.. The power of attorney may be part of the consent form, but we recommend keeping consent form and power of attorney as two separate documents. Please also be aware that it must appear from the information for trial subjects that the Danish Medicines Agency and the sponsor have access to the entire patient record for monitoring and inspection purposes. For more information, please see: Guideline for applications for authorisation of clinical trials of medicinal products in humans – under section 10. 5. What is a Type A trial? We offer an assessment time of 14 working days for Type A trials provided that the application is complete when we receive it. Further information is available here. 1. Should participant information that has been updated according to the General Data Protection Regulation (GDPR) be submitted to the Danish Medicines Agency? No. You are only required to submit updated participant information to the Danish Medicines Agency if it significantly impacts the safety of the trial subject or the scientific purpose of the trial. 2. Should clinical trials of medicines be notified to the Danish Data Protection Agency? 3. How does ’recall of consent’ or ’the right to be forgotten’ influence the use of information on the participant? The use of information obtained from clinical trial participants is based on article 9 in the General Data Protection Regulation (GDPR) and not their consent to participate. This means that clinical trial participants cannot demand that their information be deleted and that withdrawal of consent does not influence sponsor's right to use data already collected. It would compromise the trial integrity if data from withdrawn participants was to be deleted. For instance, bias would be introduced if data was deleted from participants leaving the clinical trial because of side effects. 4. Should the direct access to the patient record for the Danish Medicines Agency, sponsor, investigator and monitor still be stated in the Informed Consent Form? The Subject Information Leaflet must state that the Danish Medicines Agency, Monitor, Sponsor and Investigator have direct access to the entire patient record. The Power of Attorney is required only if foreign health Authorities must gain access to the patient record for the purpose of control during and after the trial. We refer to the Danish Medicines Agency’s Guideline for Applications for Authorisation of Clinical Trials of Medicinal Products in Humans, section 10. 1. Which amendments are substantial? See our list of 'changes considered substantial': Amendments to clinical trials. 2. When is a revised Investigator's Brochure a substantial amendment? Only in cases where the risk-benefit assessment is changed. Here you can find a more detailed description of what the Investigator's Brochure must include: Investigator's Brochure. 1. Is a comparator an investigational medicinal product? You can find further information in the European Commission's Questions & Answers, question 1.3, via the following link: http://ec.europa.eu/health/files/eudralex/vol-10/ctqa_v10.pdf. 2. What distinguishes background treatment from an investigational medicinal product? The background treatment is the standard treatment in Denmark, and it is the treatment that would be offered to the trial subjects if they chose not to participate in the trial. Please read more in Guidance on Investigational Medicinal Products (IMPs) and other medicinal products used in Clinical Trials. 3. Which documentation must I submit, when I import medicines from countries outside the EU? Please see the form "Documentation for good manufacturing practice (GMP) and the quality of investigational products in connection with the application for the conduct of clinical trials in Denmark" as well as the form "Qualified Person declaration". Please see section 7.1 of our guideline. The Voluntary Harmonisation Procedure (VHP) is a procedure which makes it possible to obtain coordinated assessment of an application for a clinical trial that is to take place in several European countries. For more information, please see: Voluntary Harmonisation Procedure (VHP) for the assessment of multinational clinical trial applications. The VHP procedure has been extended and now includes the VHP-plus procedure, in Denmark the National Research Ethics Committee. The Danish Medicines Agency will be involved in VHP-plus only for clinical trials involving ATMPs and clinical trials involving children. Quality data (IMPD) will not be assessed by the ethics committee. Please note that clinical trials with ATMP and children that have been assessed in the VHP must be notified to the National Research Ethics Committee for final ethics approval (and not the local REC), since it is the National Ethics Committee that is involved in the VHP procedure. 3. Which documents are to be submitted under a national VHP? No later than three weeks after a clinical trial application has been approved via VHP, the application must be submitted to the participating national regulatory authorities for authorisation. The regulatory authorities must authorise the clinical trial within 10 days, provided the application is complete. The application is to comprise the same elements as if it were an ordinary clinical trial application, cf. Appendix 10 of our guidelines. It is important to submit the same documentation which was authorised via VHP with the national application. 1. How often must I submit a report incl. a list of serious adverse reactions to the Danish Medicines Agency? Once a year throughout the trial period, you must submit a list of all serious suspected adverse reactions and a report on trial subject safety. 2. How frequently is the sponsor expected to submit safety information to the investigator for clinical trials of medicinal products in humans? Pursuant to the 'Detailed guidance on the collection, verification and presentation of adverse event/reaction reports arising from clinical trials on medicinal products for human use' (‘CT-3’), the sponsor must ensure that all relevant information regarding SUSARs is reported to the competent authorities and ethics committees as soon as possible and within seven days as regards fatal and life-threatening SUSARs and within 15 days for other SUSARs. The sponsor must also inform all investigators. The purpose of informing the investigators is, according to CT-3, to inform the investigators about safety issues in light of reported SUSARs. The information must be concise and practical and where possible should be aggregated in a line listing of SUSARs in periods as warranted by the nature of the protocol/project and the volume of SUSARs generated. This line listing should be accompanied by a concise summary of the evolving safety profile of the product. Furthermore, item 5.16.2 of the ICH GCP guideline provides that the sponsor should promptly notify all concerned investigators of findings that could adversely affect the safety of subjects or impact the conduct of the trial. As a result of the above, the Danish Medicines Agency does not stipulate a maximum number of days/weeks/months within which the investigators are to be informed of specific safety information. Generally, it would be inappropriate to establish a deadline for dealing with information regardless of nature, because the degree of importance will vary from case to case. Consequently, some information will need to be sent to the investigator immediately, other information could wait and be sent out as regular line listings in periods decided by the sponsor for the individual project/protocol. This should be decided on a case-by-case basis. 3. What is required of the sponsor in relation to providing safety information to the investigator sites in the period from the Investigator's Brochure (IB) is final and until the trial is initiated at a site? We will expect to find relevant safety information in the investigator's Trial Master File. Typically, this will be the latest Investigator's Brochure with subsequent SUSARs which have not yet been included in an Investigator's Brochure. The information must reach the investigator well before the trial agreement is made and must be updated on a regular basis as required by the significance of the information. 4. What is a SUSAR? A SUSAR is a Suspected Unexpected Serious Adverse Reaction. SUSARs must be reported to the Danish Medicines Agency immediately. causes congenital anomaly or birth defect. The adverse reaction must be related to the investigational medicinal product. In other words, it is suspected that there is a causal relationship between use of the medicinal product and the adverse reaction that has occurred. Both investigator and sponsor must assess the causality. The sponsor must not override the investigator's evaluation, and reports where the sponsor does not agree with the investigator must be reported. The adverse reaction must be unexpected, i.e. it must be an adverse reaction whose character or gravity is not consistent with the product information described in, for example, the Investigator's Brochure for an unlicensed investigational medicinal product or the summary of product characteristics for a licensed medicine. If it is a blinded trial, the adverse reaction must be assessed before unblinding, but the data must be unblinded before they are reported to the Danish Medicines Agency. 5. How should I submit SUSARs to the Danish Medicines Agency? SUSARs must be reported electronically, please see: Reporting of adverse reactions in clinical trials. The report must also be submitted to EMA via E2B as we do not forward the reports that we receive from commercial sponsors via E2B. 6. How can I as a non-commercial sponsor report SUSARs, when I don't have access to EudraVigilance? The Danish Medicines Agency forwards all reported SUSARs to EudraVigilance, so that they are included in the complete European adverse reaction data for the product concerned. 7. Do we have to test the reporting of SUSARs to the Danish Medicines Agency if we use EVWEB? No, a test is not required if you use EVWEB, but your Sender ID must be configured in our system before we can receive files. Please send an email to E2B@dkma.dk with information about the name and address of the Sponsor and the relevant Sender ID. 8. Do we have to make a test with the Danish Medicines Agency if we change from EVWEB to EMA’s EudraVigilance gateway and back-end database? Yes, please write to E2B@dkma.dk to arrange a test. 9. Do we have to make a test if we update or change our pharmacovigilance system? 10. To which ID should SUSARs be submitted? SUSARs should be submitted to DKMAEUDRA and to EVCTMPROD. 11. Which ID should we send to when making the test? Test SUSARs should be sent to TDKMAEUDRA. 12. 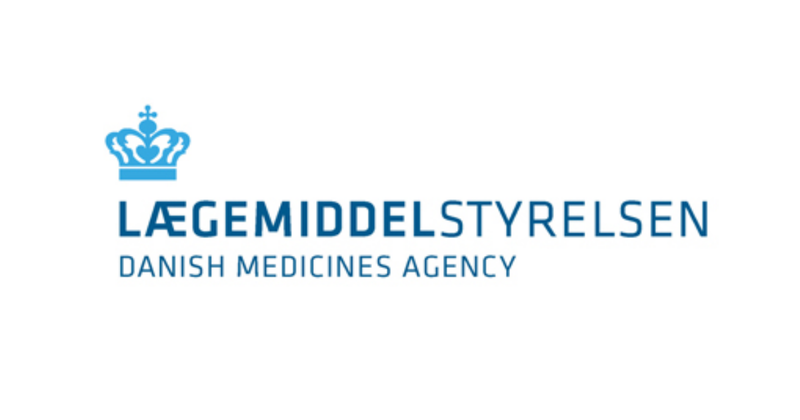 Are there any specific requirements for testing the exchange with the Danish Medicines Agency? Yes, you must have a profile in the EMA's EudraVigilance test gateway and you must have completed a test with the EMA. 13. Will the Danish Medicines Agency send a confirmation (ACK) for SUSARs received? 14. Do we have to resubmit a SUSAR if we have not received an ACK within 2 days? No, you should never resubmit reports, unless we ask you to. Please write to E2B@dkma.dk. Please state your full XML file name and the date of the transmission. If the file name contains a reference to the case number, this will be truncated by a number of Xs corresponding to the deleted characters. 15. Do we need to notify anyone before we submit a test SUSAR? Yes, before you send a test file, please write to us at E2B@dkma.dk. We cannot process the file unless your Sender ID has been configured in our system. 16. What happens when the test phase is over? When the test has been completed, we will send you an email to confirm that the test was completed and to inform you that you have access to report SUSARs to our production environment. 17. Can we stop sending SUSARs in paper format during the test phase? No, during the test phase, the Sponsor must continue to submit reports as usual (in paper form). 18. When the test phase is over, will there be a transitional period during which both electronic and paper reports must be submitted? No, when files are exchanged in the production environment, you no longer have to send reports in paper form. 19. Is the sponsor responsible for submitting SUSARs to EVCTM or will the Danish Medicines Agency send the reports to EVCTM? Yes, the Sponsor must submit all Danish SUSARS electronically to EVCTMPROD and also to DKMAEUDRA. The Danish Medicines Agency does not forward SUSARs to EVCTMPROD. 20. Does DKMA accept SUSARs from clinical trials that are not unblinded? No, all SUSARs must be unblinded and sent to DKMA within 7 days (life-threatening and fatal adverse reactions) or 15 days (other serious adverse reactions). 21. What if our system is unavailable, and we want to send a SUSAR to the Danish Medicines Agency? 22. What if the EudraVigilance database is unavailable, and we want to send a SUSAR to the Danish Medicines Agency? 1. Which types of contraception does the Danish Medicines Agency consider safe in clinical trials? We acknowledge the following contraceptive products as safe in connection with trials of medicinal products: Intrauterine devices or hormonal contraception (oral contraceptive pills, implants, transdermal patches, vaginal rings or long-acting injections). It is accepted in certain cases to include subjects having a sterilised permanent partner or subjects using double barrier contraceptive methods. However, this should be explicitly justified in special circumstances arising from the study design, product characteristics and/or patient population. For the purpose of this guideline, double barrier methods of contraception means a condom combined with a diaphragm and spermicide. 2. Does the Danish Medicines Agency accept deviations from the protocol (waivers)? No. We do not accept deviations from the protocol (waivers). 3. How is my trial registered in the EU Clinical Trials Register? The EU Clinical Trials Register is compliant with the requirements of the International Committee of Medical Journal Editors (ICMJE), which provides that clinical trials must be registered prospectively in a public clinical trial register before the editors will accept articles on the trials for publication. The EU Clinical Trials Register retrieves data from the EudraCT application form which is submitted to the Danish Medicines Agency when a clinical trial is to be authorised. When we have registered that authorisation has both been given by the Danish Medicines Agency and the Scientific Ethical Committee System in the database, data on the trial will be published. Follow this link to read more about the EU Clinical Trials Register. 4. How can I get scientific advice in connection with development of medicinal products? The Danish Medicines Agency offers scientific advice. This is free. For more information, please see: Request for advice in connection with development of medicinal products (scientific advice).